The Arca-Swiss Adapter 1/4"-20 from Jobu Design will mount to any device that accepts a 1/4"-20 female thread, and convert it into an Arca-Swiss-compatible device. You can mount it to a ball head for quick installation into a gimbal head, use it as a flash shoe to mount to a compatible arm, or mount to the bottom of a camera body to use as a do-all body plate. 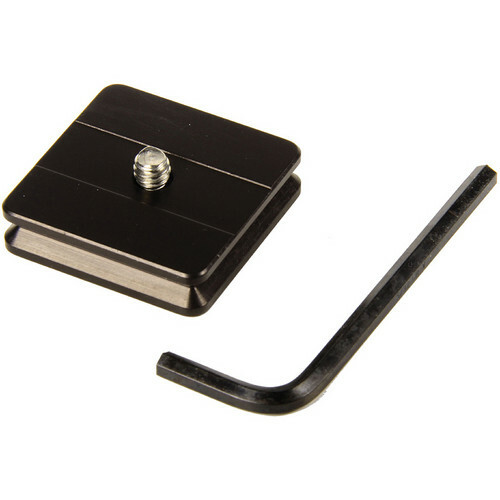 This includes a custom stainless steel 1/4"-20 socket head Allen bolt, and a 5/32 Allen key. Box Dimensions (LxWxH) 8.0 x 5.0 x 0.4"